Xiaomi Mi 8 Lite Vs Redmi Note 6 Pro: Which Is The Best To Buy? Xiaomi Mi 8 Lite Vs Redmi Note 6 Pro mid-range battle. The Chinese smartphone manufacturer has been giving us amazing mid-range devices this year. 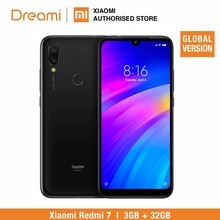 However, the Xiaomi Mi 8 Lite was launched recently and it came with impressive features and today we will be comparing it to the Redmi Note 6 Pro by Xiaomi. Its the higher variant of the Xiaomi Note 5 Pro and it has loads of cool and impressive features. Have You Seen This? ZTE Nubia Z18 Vs Z18 Mini: Do You Like The Water-Drop Notch or Not? The Mi 8 Lite has an Aluminum and attractive body, the fingerprint sensor of this device is found on the rear panel. While the Note 6 Pro is made of Aluminum alloy as well but not that attractive. This Aluminum Alloy has curved antenna lines and it has a gorilla glass panel at the front. The two smartphones have a notch on their respective display. The Mi 8 Lite sports a 6.26-inch FHD+ IPS LCD capacitive touchscreen with a resolution of 1080 x 2280 pixels, the screen has a pixel per inch density of 403. While, the Note 6 Pro sports a 6.26-inch FHD+ IPS LCD screen with 1080 x 2280 pixels in resolution and 403ppi. The Mi 8 Lite houses a Qualcomm SDM660 Snapdragon 660 chipset with an octa-core processor clocking speed of up to 2.2GHz. The smartphone has 4GB/6GB RAM and 64GB/128GB storage space. While the Note 6 Pro houses the SDM636 Snapdragon 636 chipset with octa-core processor clocking at 1.8GHz. In the RAM department, the Note 6 Pro has 4GB/3GB and 64GB/32GB storage space. For the Software, the Mi 8 Lite runs on the Android 8.1 Oreo operating system. While the Note 6 Pro runs on the Android 8.1 Oreo operating system as well. The Mi 8 Lite has a rear dual camera setup of 12MP+5MP with a front/Selfie camera of 24MP. While the Note 6 Pro has a camera set up of 12MP+5MP with a great front camera of 20MP + 5MP with f/2.0 aperture. Powering the Mi 8 Lite is a 3350mah Non-removable Li-Po battery with fast battery charging. While the Note 6 Pro is powered by a 4000mAh Non-removable Li-Po battery with fast charging as well. They are both nice smartphones with attractive body and specs. But I think it depends on what you want in a smartphone as they are both unique in their own way. But personally, I would go for the Mi 8 Lite because of the Snapdragon 660 chip and smaller notch. Xiaomi Redmi 6 Pro Vs Note 6 Pro: 2018 Note Vs Redmi Battle! Xiaomi Redmi Note 5 Pro Vs Note 6 Pro: See Why You Should Upgrade!